Dial Press Trade Paperback, 9780385336178, 336pp. Life has been good to Becky Bloomwood: She’s become the top personal shopper at Barneys and she’s living happily with her boyfriend, Luke, in Manhattan’s West Village. But with her best friend, Suze, engaged, how can Becky fail to notice that her own ring finger is bare? Not that she’s been thinking about marriage (or diamonds) or anything. Then Luke proposes! Problem is, two other people are planning her wedding: Becky’s overjoyed mother—who has been waiting forever to host a backyard wedding, with the bride resplendent in Mum’s frilly old gown; and her high-society soon-to-be mother-in-law—who insists on a glamorous, all-expenses-paid affair at the Plaza. Both weddings, on separate continents, on the same day . . . and Becky can’t seem to turn down either one. 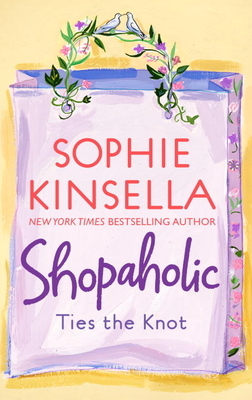 Can everyone’s favorite shopaholic tie the knot before everything unravels?